This is Reed Summers. I would like to invite you to join me for a special gathering of New Message students in Paris on April 28th. This is an important time for you and me, for the New Message and for the Worldwide Community. I am excited to have this opportunity to travel to meet you and share with you an evening of meditation, discussion and reflection. There are many important questions to consider together. The Messenger is alive. The Message is moving into the world. 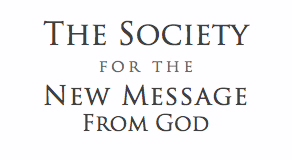 The texts of the New Message are currently being translated into 10 European languages. There is so much in motion, and I feel it is important that we come together, get to know one another and begin to share the blessing and responsibility of being the first students in Europe of a New Message from God. We have rented a meeting space near Metro Nation for the evening of April 28th. We will begin at 5:30pm and share about three and a half hours together, with a meditation then discussion and light refreshments. Afterwards, I would like to invite everyone to join me for dinner at a nearby restaurant. If you would like to join us, please contact The Society for location and directions. I look forward to spending this important evening with you!